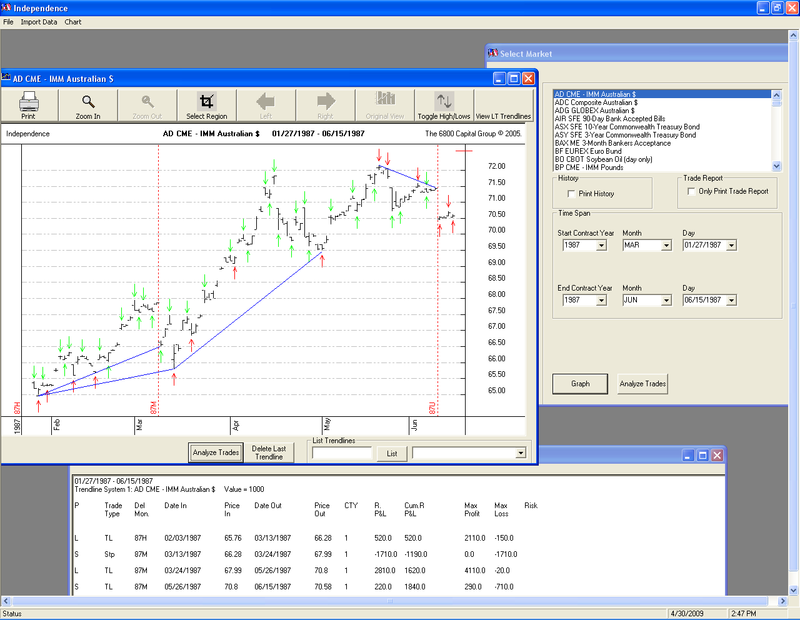 Working for 6800 Capital LLC, a hedge fund in Princeton, NJ, I developed Independence, a financial charting and strategy back-testing application for commodity trading. 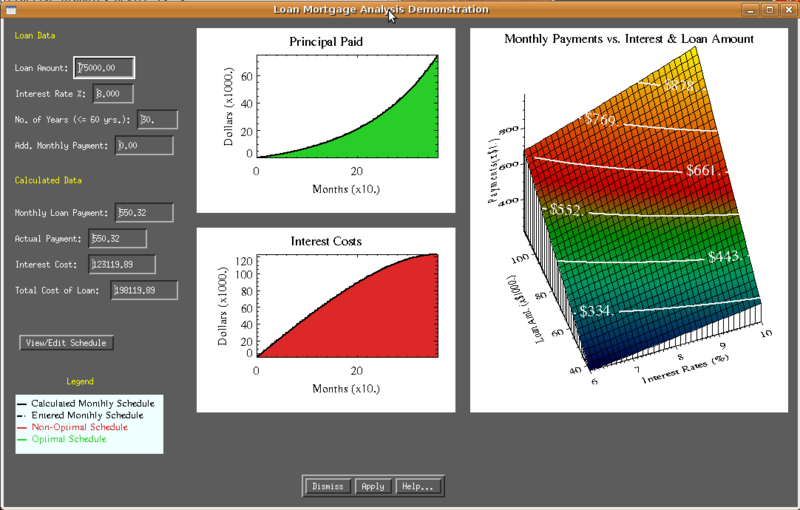 The application, written in Visual Basic, downloaded and cleansed financial data and entered it into a fully normalized database. Consulting for Rogue Wave Software, I developed a program to visualize portfolio volatility and generate trading signals in commodity markets for Global Advisors, a hedge fund based in London. The process to test the signals was run nightly to adapt to changing market conditions and used both linear and nonlinear optimization routines. This process was then highly parallelized to reduce the amount of time it took to run from hours to minutes. Visualization of the trading signals allowed for human verification of the optimized results. 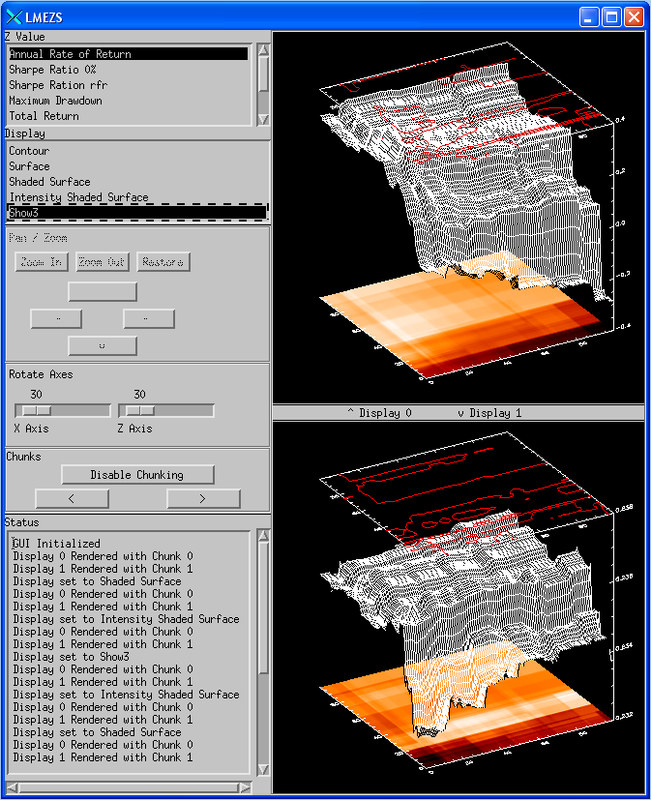 Visualization techniques included 3D surfaces and contours. Agusta Westland routinely generates massive data sets running Monte Carlo type simulations on helicopter flight paths in order to minimize helicopter downtime and optimize replacement part shipments. These large datasets were difficult to understand and error-check. 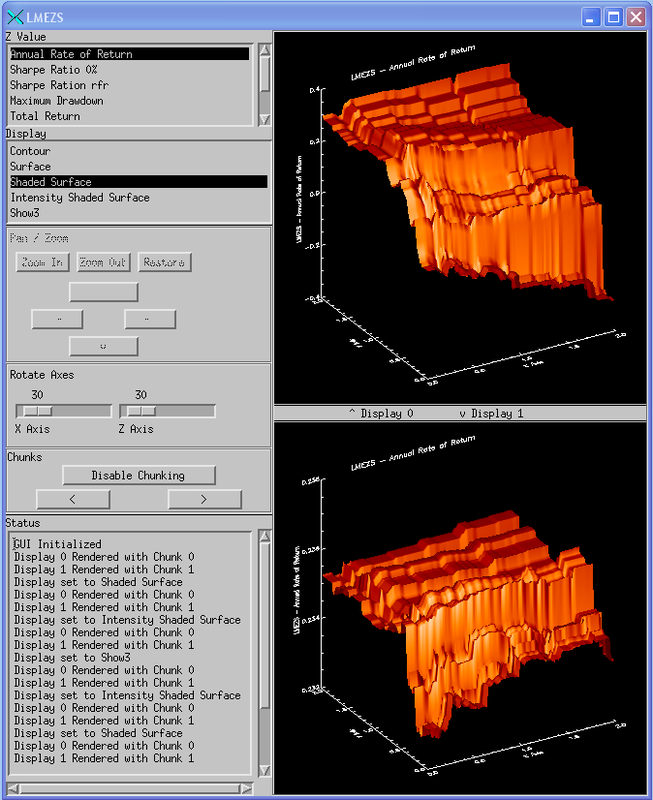 Consulting for Rogue Wave Software, I used the Visualization Toolkit (VTK) to develop a 3D visualization playback tool to display these files. This project was managed using the agile software development model. 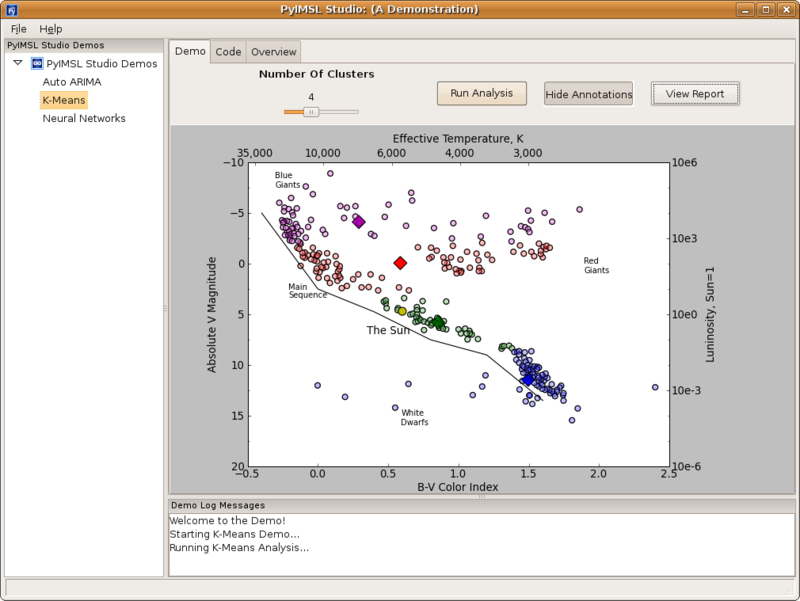 Rogue Wave Software launched a new visual data analysis framework centered around Python and Matplotlib in late 2008. I was solely responsible for developing the demonstration suite to showcase this new technology. 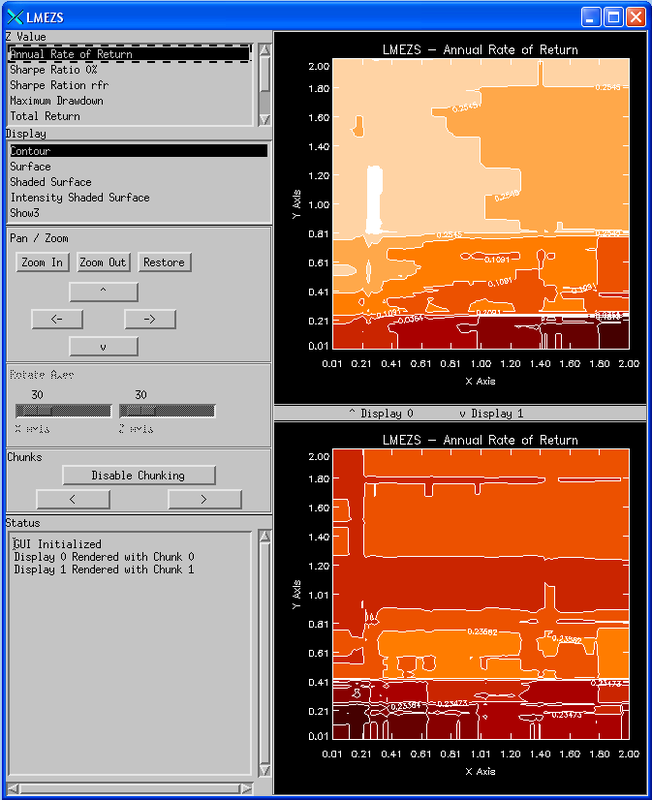 The demo suite was cross-platform compatible and consisted of demonstrations of the Neural Network, ARIMA and K-Means algorithms. 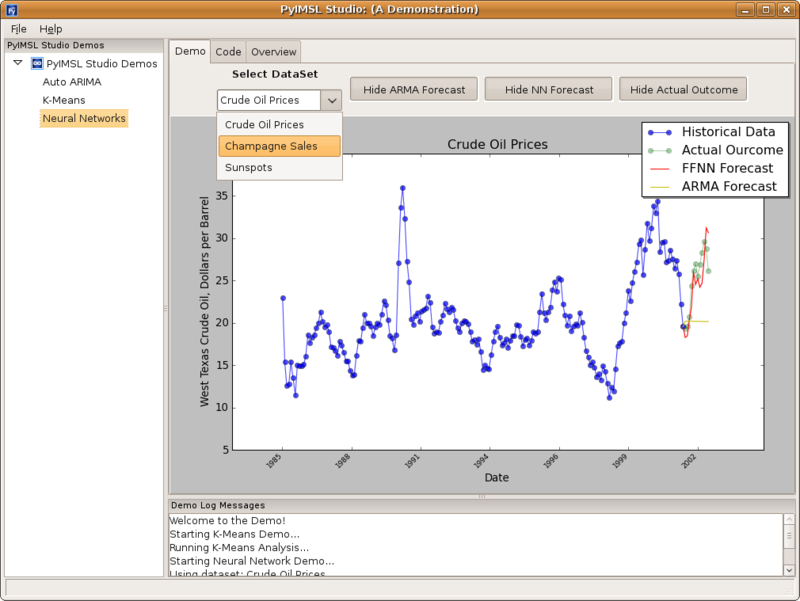 It was written in WxPython and used the Matplotlib graphing framework. One of my primary responsibilities working at Rogue Wave Software is the support of the PV-WAVE programming language. 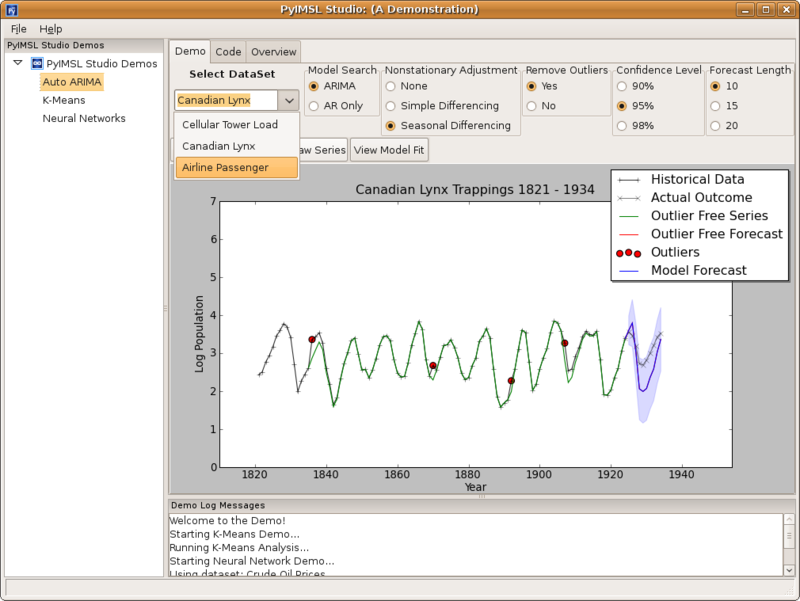 Several notable upgrades to the language included the addition of MySQL database connectivity, addition of Neural Network routines and an improved demonstration gallery.